This warts-and-all look inside an inner city primary school is an intimate and charming account of how people at Edith Neville primary school approach issues that face urban schools everywhere. The author's insightful journalistic eye focuses on how individuals cope with government initiatives, the needs of the pupils and the community at large. staff manage distressed and distressing behaviour. In the background the school's managers endeavour to meet targets and inspections, while containing teacher stress and retaining a vision of the broader purpose of education. Wendy Wallace is a freelance education writer who has for the last five years been senior feature writer for the Times Educational Supplement. A contributor to national newspapers and magazines including The Times, The Times Saturday Magazine and The Guardian, she is editorial adviser to the Teacher Training Agency magazine Ruler and to the British Councilâ€™s International Placements for Head Teachers programme. 'Oranges & Lemons is a testament to the dedication of Edith Neville's highly capable teachers, and to O'Reagan's determined vision and flair. 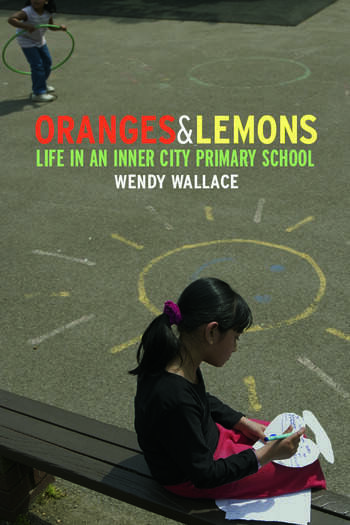 Wallace has written a remarkable book: an insight into what it really means to teach in the inner city in the UK today.' - Catalyst Jan-Feb 2006.